Overstuffed with turkey? Sick of the family? Need to get away for a cocktail? 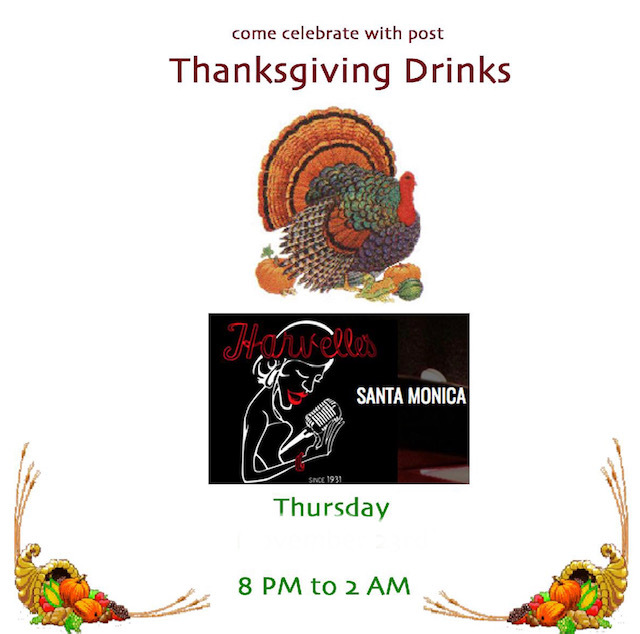 Come to Harvelle's Santa Monica for an escape. Join Damian behind the bar with friends spinning old-school punk and 80's. Try Damian's homemade eggnog as a bonus! Doors at 8 PM, we will be going to 2 AM!